A call center offers unlimited scope and opportunities for those looking for the job of their dreams. 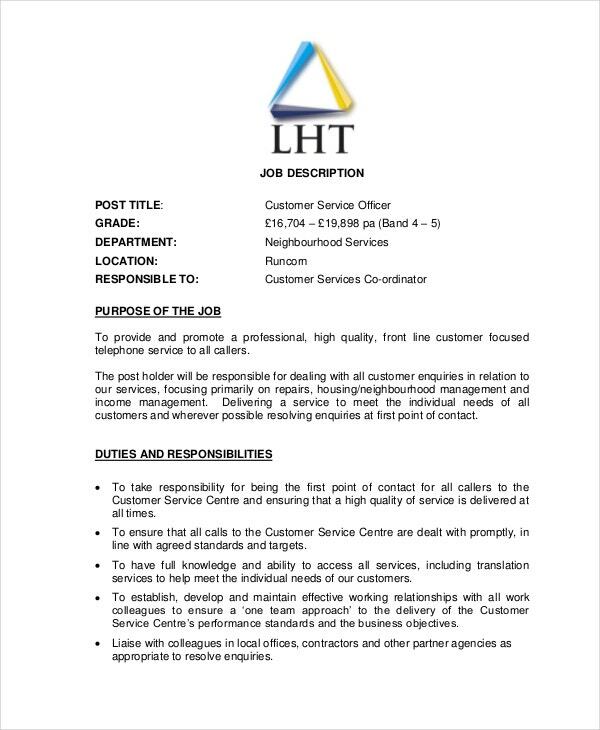 Are you in charge of the recruitment department at your call center and have a few important posts that need to be filled? Then you need to come up with attractive job descriptions for them so that you attract the right candidates. 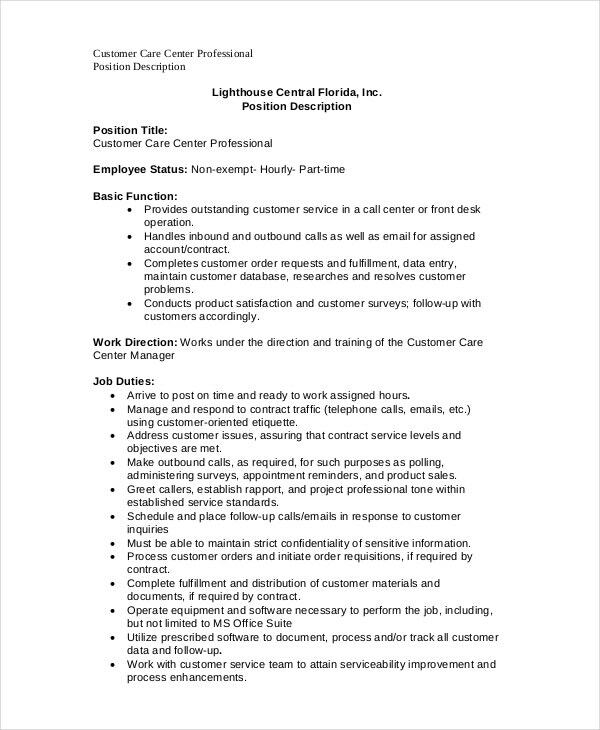 In that case, you definitely need to take a look at some of these call center job description templates provided in this section. 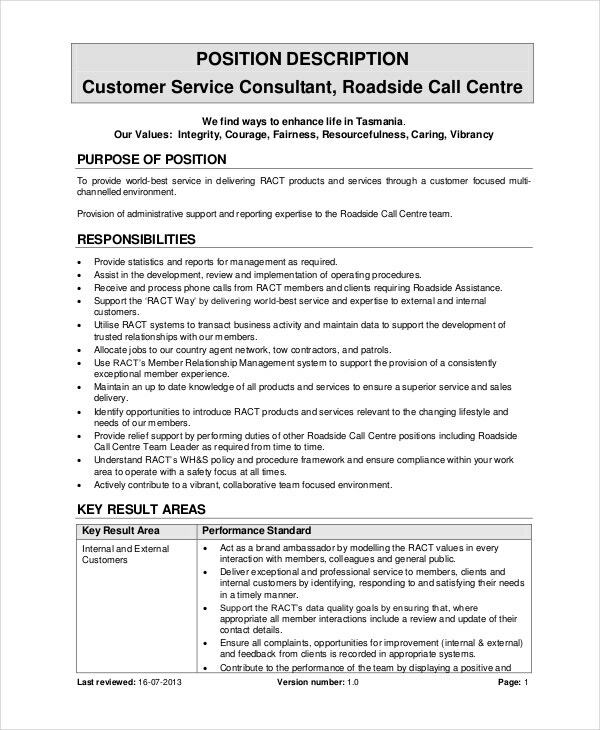 Is there an opening for a customer care representative at your call center? Then you could use this fantastic template here to advertise it. Plus, it is very easy to use as well. 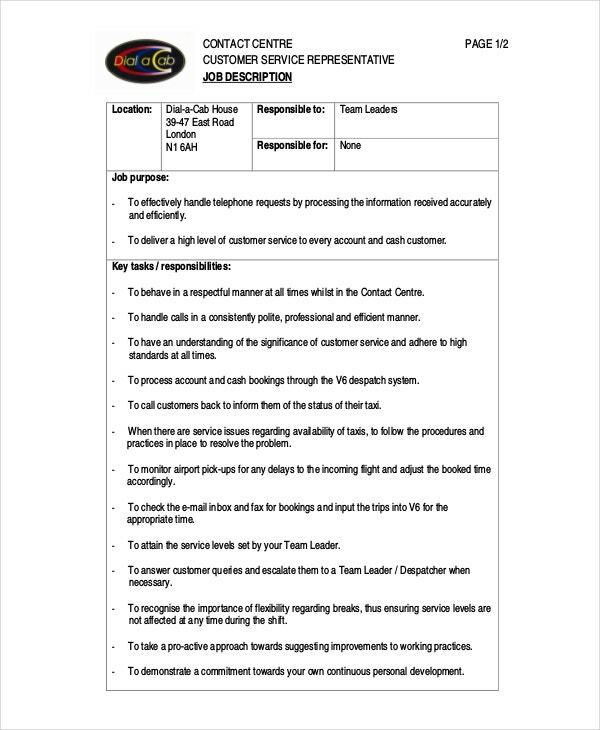 You can also see Controller Job Description Templates. 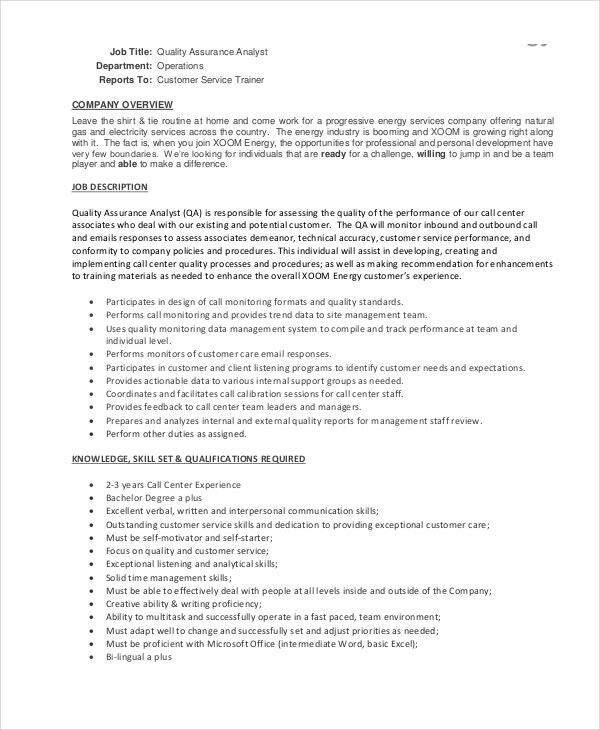 This customer service office job description template here is a very generic template that can be used for a number of jobs. It doesn’t matter what opening you have at your call center. You can always use this template to advertise it. In an inbound call center, you will require specially trained agents who know how to handle inbound calling. If you want to advertise for an agent for inbound calling, you can use the template provided here. At every call center, there is a manager to oversee operations. 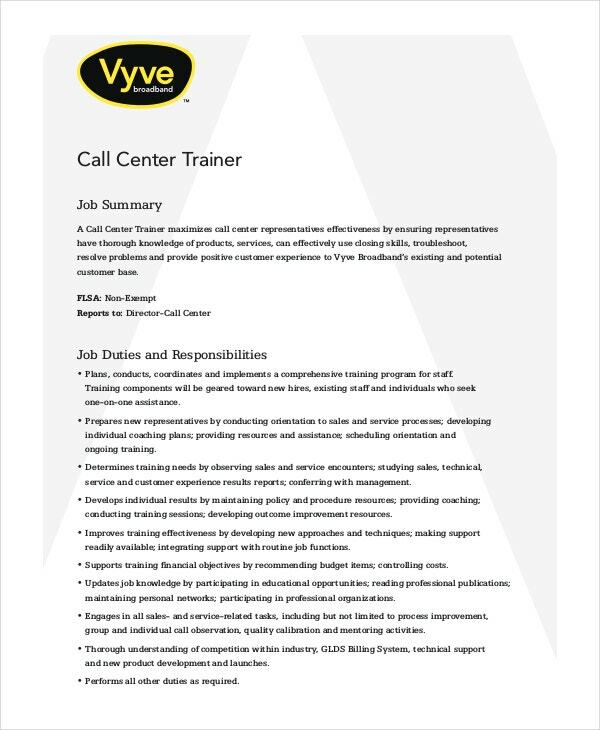 If there is a vacancy for a call center manager at your contact center, then you can use this call center job description template to help you out. It has been designed especially for this purpose. 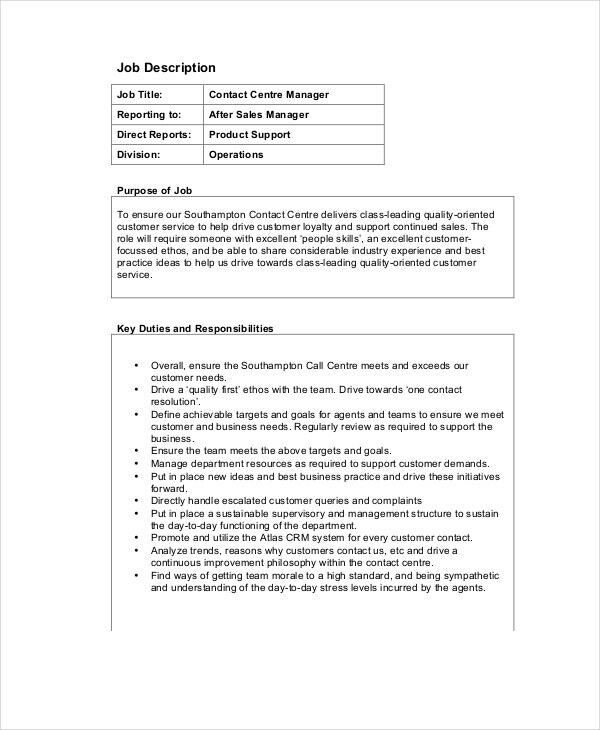 > Why do you need Call Center Job Description Templates? The whole point of a job description is to present a wholesome information about the post concerned. In a way, this is actually a kind of an advertisement of the job you’re talking about. You have to mention the basic qualifications and other qualifications required for the job and other details like salary offered. Also, you have to present all the information in a manner that attracts the right candidates for your job. But a job description is a time-consuming and tedious process. 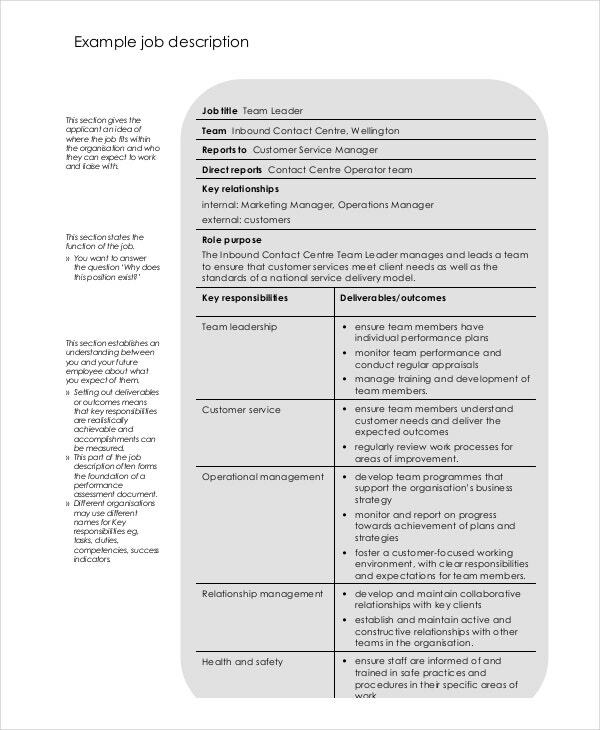 Instead, you could make your job a whole lot easier by just using the customer service description templates. 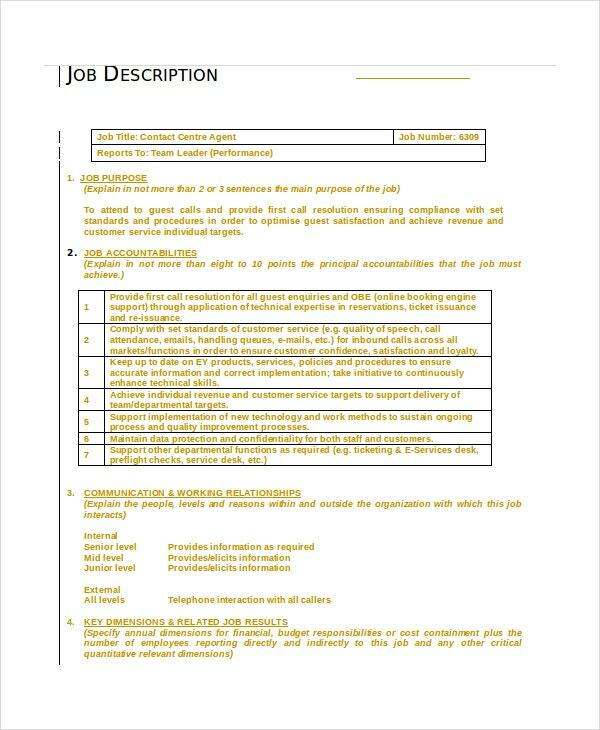 These job description templates are sure to come in handy because they have been designed specifically to suit your needs and requirements. You need to keep the job post in mind before you actually download the template. As you can see here already, there are different job description templates for different posts. You need to select the template based on the kind of job you have in mind. 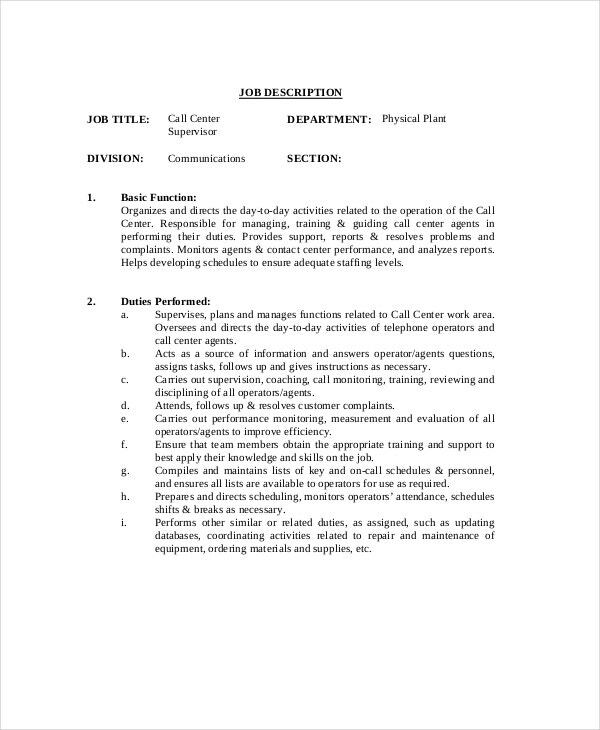 Go for call center job description templates that are easy to understand and follow. The tone of the job description should be such that candidates can follow it easily and grasp the essence of what it intends to convey. Do not cramp the job description with excessive information such that it becomes clumsy. 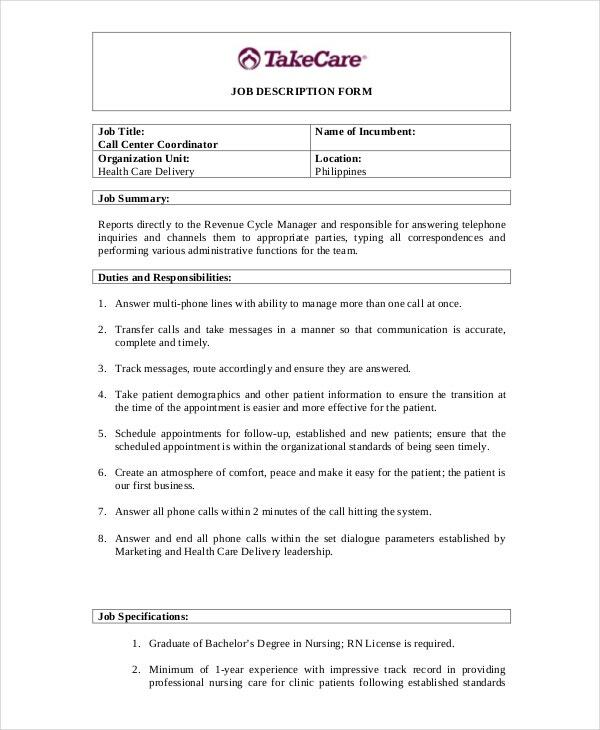 You can also see Data Entry Job Description Templates. 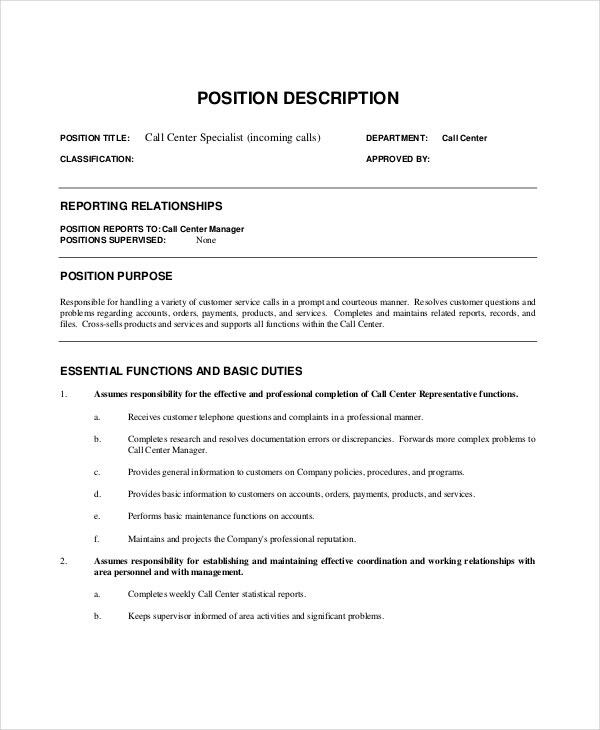 In this section, you will find tons of call center job description templates, all of which can make your life easier for you. The customer service job description templates here have been developed by professionals and these can go a long way in making your work a lot easier for you. All you have to do is download the template since a large chunk of the work has already been done for you.